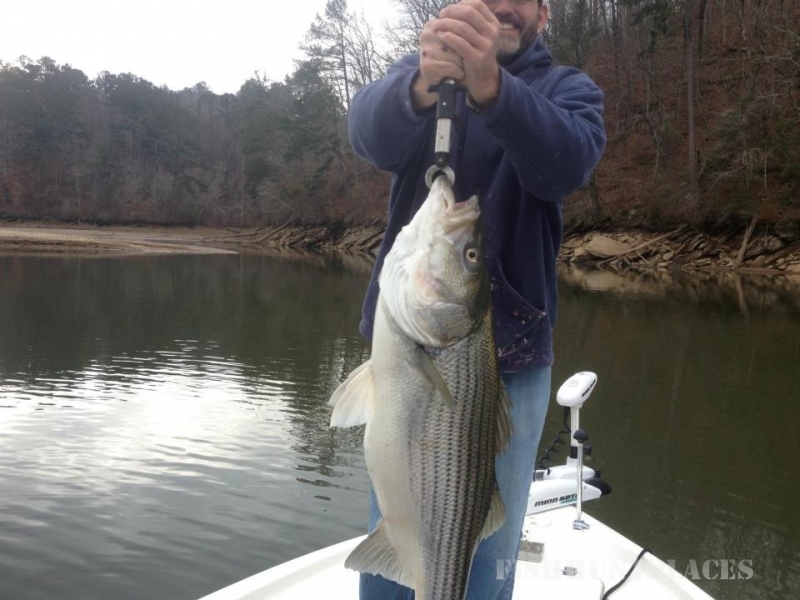 Alex City Guide Service specializes in live bait fishing for trophy size stripers, largemouth and spotted bass based out of Lake Martin, Alabama. We fish out of the latest, most sophisticated center-console and bass boats rigged with the best equipment on the market. 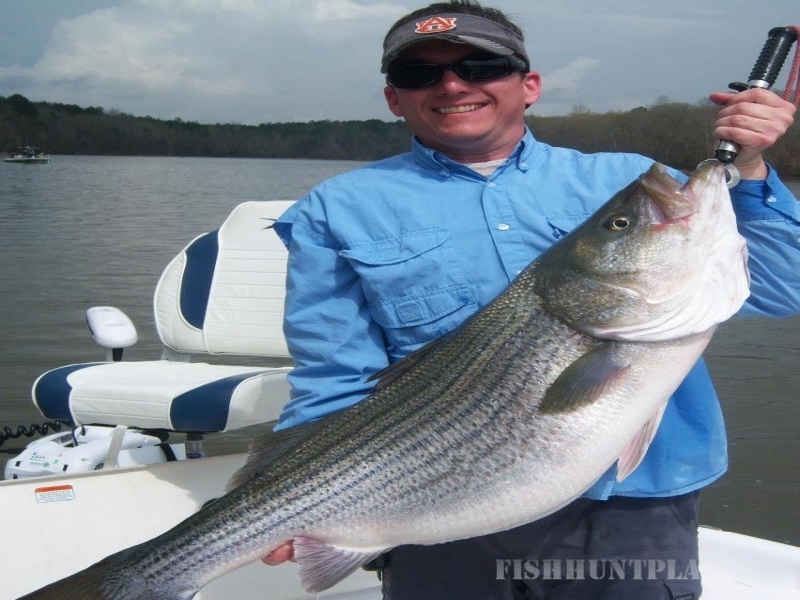 We specialize in Trophy Stripe Bass, Largemouth Bass, and spotted Bass. 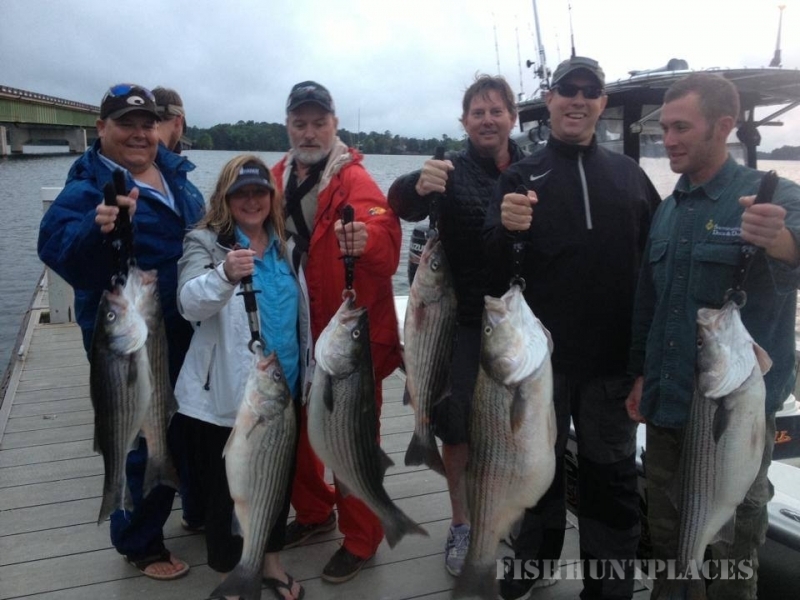 You can also charter trips for catfish and crappie. 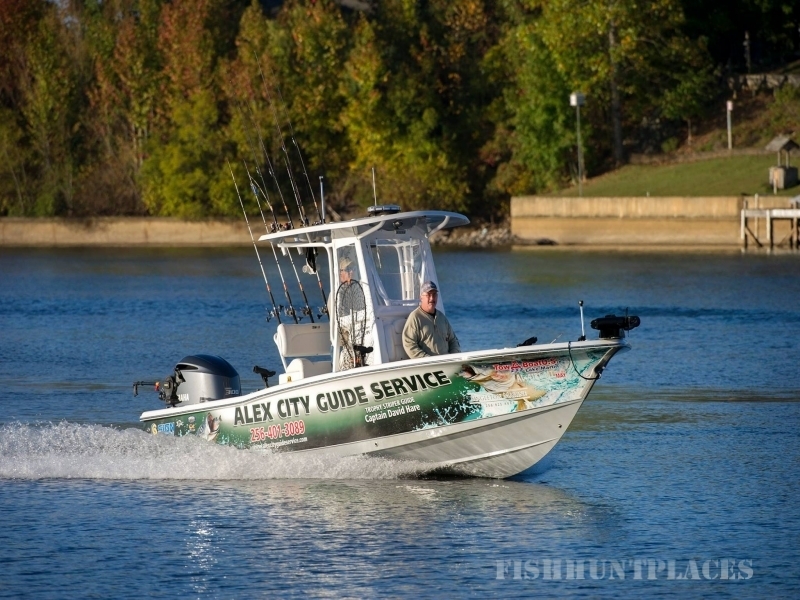 Alex City Guide Service can provide individual trips or groups up to 40 people with its fleet of available guides. 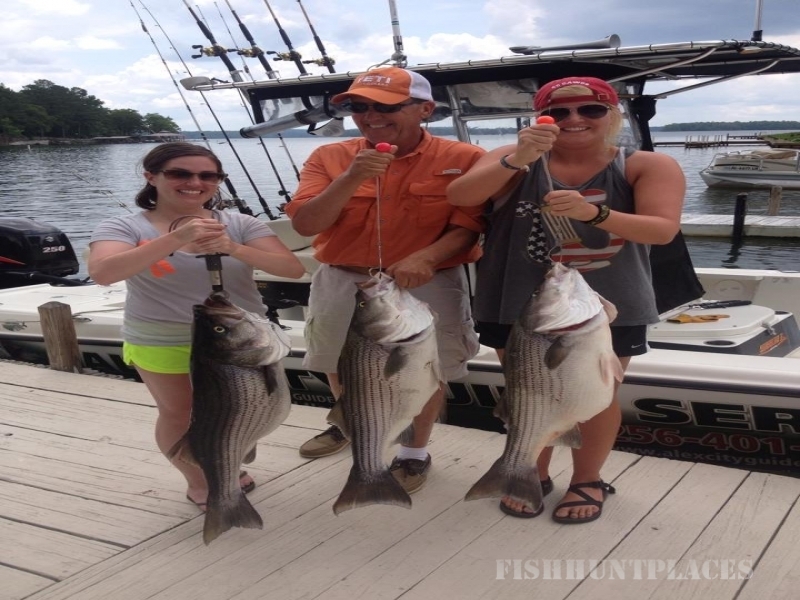 We pride ourselves in providing all of the bait and equipment needed to make your trip memorable. All you have to bring is your food and drinks.